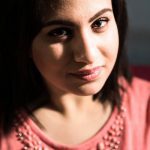 A future for Syria - sister-hood magazine. A Fuuse production by Deeyah Khan. If you think of Syria, images of massacres, chemical weapons, militants and refugees fleeing violence come to mind. 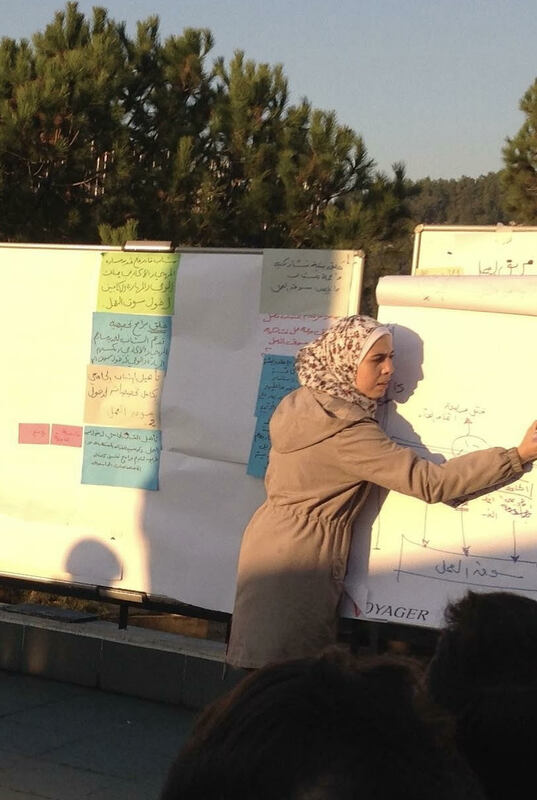 In the midst of the devastation and destruction, an ever-expanding network of dedicated Syrians – young and old, mostly women – have been working to heal the torn society. 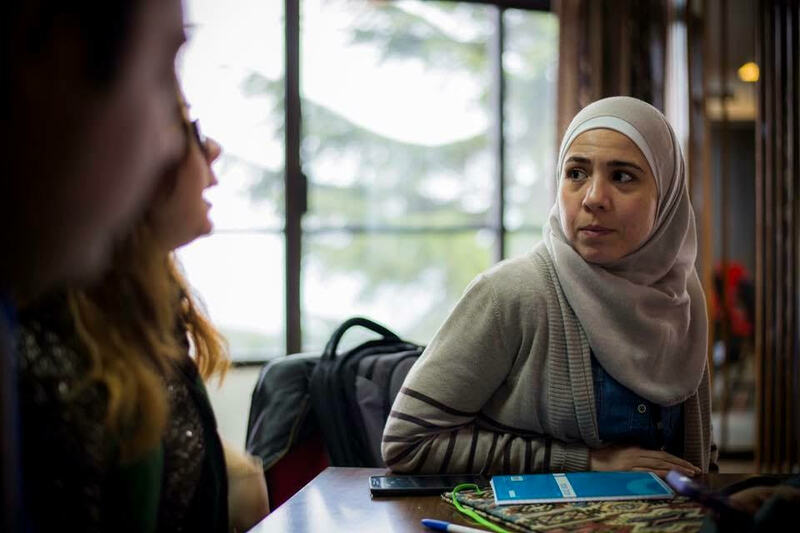 At the centre of this network is Ghada Rifai, a trained architect who has drawn on her professional skills of design, structure and vision to build a human network rooted in the values of peace, diversity and non-violence. Rifai, and her colleague Abir Hajibrahim, co-founded the El Mobaderoon Network (translated as Initiative Takers) in 2010. At first, the network’s goal was to promote active citizenship—but with the break-out of conflict, the network has emerged as possibly the largest grassroots organisation in the country. It has over 4,000 members… and counting. From the start El Mobaderoon has raised awareness about the need to end violence and address conflict through dialogue. Over the years, as more blood has been shed, it has remained consistent in its commitment to build a better, more inclusive future for Syria. What does your network do? El Mobaderoon is working on establishing common spaces for people to come together across political, sectarian or ethnic differences. They are safe spaces where people can talk about themselves, their ideas, their beliefs and their fears. People begin to understand each other. They find common ground. We believe by doing this, we are able to encourage people to explore the advantages of diversity, discover the magic of difference, and celebrate this plurality. Diversity becomes a source of value in the community rather than a reason to fight. Our activities also encourage people to launch similar initiatives in their own communities. We work with adults and children. One of our recent initiatives was between a group of children from the coastal city of Tartus and another group from Aleppo. They sent messages of love and solidarity expressing how they care, saying ‘We are all one, and whatever is happening to you, we are all Syrian.’ The children organised an event to draw these messages and decorate them. Another initiative involved working with children living on the streets. A huge number of children are out of the education system. People deal with these children in such an inhumane manner. They close the windows when they approach. Our network members decided to bridge this gap. They conducted activities with the children to build trust, and then put together a referral system to help them get off the streets. We want to ensure that these children are protected from crime; either as victims or through turning to crime out of desperation to access food and shelter. How do you see the role of women in achieving peace? Syria has become a country of women since the war. Many men fled or have been killed. The country is now full of the elderly, women and children. They are playing an important role in implementing peace. At some point, politicians will come together and broker a peace agreement. But who will implement it in the community? Women. Nowadays, there is a growing interest in women’s inclusion and more are activating for women’s role in the peace process. There are women on the advisory board for the UN Envoy. There has been some integration of women’s activities into the peace process. But a trend is not sustainable. We need a change of mentality. They talk a great deal about women’s involvement during the peace process, but this is limited. Once it ends, we worry that women will be side-lined and the men will take over again. We need to integrate all community members as part of this process, and recognise that women in particular are playing major roles. I’ve noticed that recently a lot of young people are planning their life as if the war will last forever. Imagine if they were part of the peace process themselves, and their mothers were involved in it. They would have a different vision of the future. How do you find working under such stress in Syria? What are the difficulties you face? It is not easy. We are dealing with matters that affect all aspects of our life directly. At times I have considered ending the project. But then I overcome that feeling because I see the impact of the work that we are doing. I get inspired by the stories of other members in El Mobaderoon. Being part of a network is a safety net in itself. The difficulties lie in instability. We are losing people all the time. They move from one area to another or they flee the country. We prefer to focus on opportunities because whatever happens we will find a new way around it. Within politics, the word ‘extremism’ serves certain interests and agendas. In reality, extremism means taking a side without considering the others’ rights or perspectives. Extremism exists in every nation, in every political movement, and even at a family level. People think they are doing the right thing to counter extremism with extremism. It is a cycle: once any group or individual starts taking part in extremism, they feed extremism. Governments counter violent extremism with violence, which only results in more violence. Bombing and military actions do not change minds. Extremists just feel themselves to be victimised, seek vengeance, and more people join them. Countries which think that they are saving the world through militarism are also extremists. They think that it’s their right to take somebody’s life or to bomb an area. They regard the death of 100 civilians as acceptable in their fight against groups like ISIS. Peace activism changes mentalities. One of our success stories illustrates this. We were conducting activities with children in Damascus. We invited some of the kids who were standing at checkpoints holding weapons to join us. After attending a session about rights and responsibilities, about really understanding others, how to analyse our actions and how other people may suffer from them, one of those youngsters decided to disarm and never turn back. It takes time. The voice of peace activism is very quiet. It requires greater patience than violence. Investing in peace is very cheap. It just needs passion and encouragement. Imagine if the money paid for military missions went into economic development or education. We would have a different world. It is not expensive. We just need a plan and the will to do it.